Zenith SA is a Swiss watch manufacture started in 1865 by Georges Favre-Jacot at the age of 22, in Le Locle in the canton of Neuchâtel. Zenith has a long reputation for the quality and precision of their watches, with 1,565 1st-place precision awards to date. 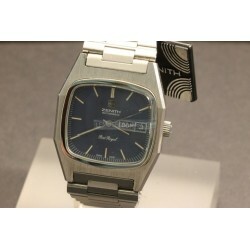 Zenith, is one of the few Swiss watch brands that make their own mechanical movements - the Elite (standard movement) and the El Primero (chronograph). 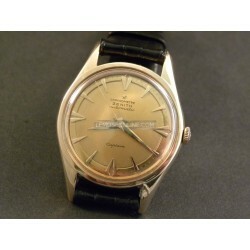 The El Primero movement has a frequency of 36,000 alternations per hour. This high rate allows a resolution of 1/10th of a second and a potential for greater positional accuracy over the more typical chronometer frequency of 28,000 alt per hour. 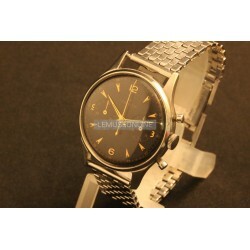 Zenith was purchased by luxury giant LVMH in November 1999, becoming one of several brands in LVMH's watch and jewelry division.NB WE REMIND YOU THAT A LOT OF OUR WATCHES ARE SOLD BY US FOR OUR CUSTOMERS...THIS MEANS THAT IF YOU WANT TO COME IN OUR SHOP TO SEE ONE OF THEM YOU HAVE TO CONTACT US TWO OR THREE DAYS BEFORE IN ORDER TO LET US TO HAVE THE TIME TO BRING THERE THE WATCH! 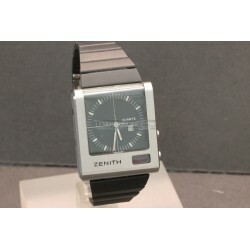 Zenith There are 22 products. 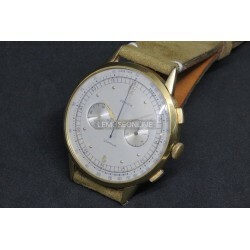 18kt rosè gold case ( diameter 34,5mm ) Hand winding movement caliber 146H Brown leather strap Argentee dial With three counters chronograph Plexi glass Reference 19530 Made in the '50 Wonderful conditions! 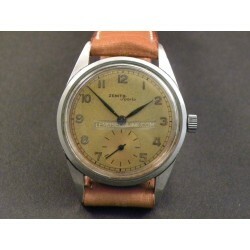 Steel case ( diameter 37mm ) Hand winding movement Excelsior Park cal. 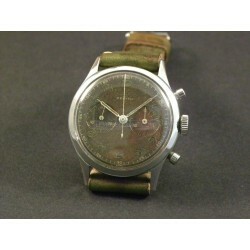 143-6 Vintage style military green leather strap Wonderful original chocolate dial With chronograph Plexi glass Made in the '40s Very rare model Very nice conditions! 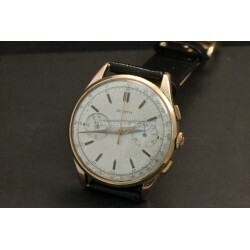 18kt rose gold case ( diameter 35,5mm ) Automatic bumper movement caliber 133.8 Black crocodile strap Beautiful original champagne dial Plexi glass Screw down back Very rare model Made in the '50s Wonderful conditions! 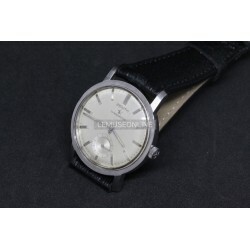 Steel case ( diameter 35mm ) Hand winding movement caliber 126 Brown leather strap Wonderful original dial with patina With small seconds Screw-down back Plexi glass Made in the '50s Wonderful conditions! 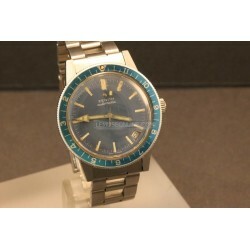 Steel case ( size 36mmX42mm ) Steel original bracelet Automatic movement caliber 346 Blue dial With day and date Sapphire glass Reference 01-0142-346 Made in the '70s New Old Stock, it still has its protective varnish on the back!